High school football is war, every Friday night for fans of all ages. This contact sport comes with perils but also great rewards for those crowned “champion”. 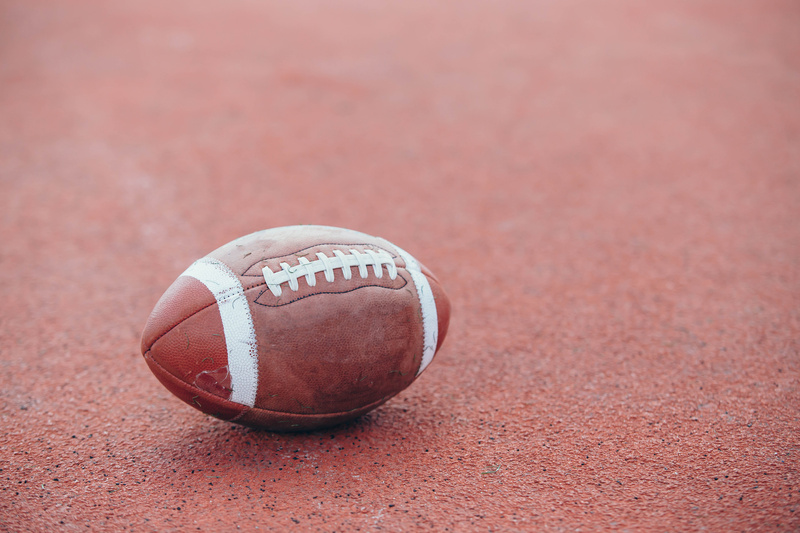 Every player and spectator too dreams their team is going ‘all the way’ this season, with high flying dashes to the goal line and dramatic defensive turnovers. Usually, its all about scoring more than the opponent but for one western North Carolina team, that was never a problem. Winning the state championship, the Ridgeview Panthers went undefeated in 1964 with a record of 12-0. However, such a distinction only begins to tell the story. On the way to each ‘W’, the team held their opponents scoreless. Yes, they denied every other team any opportunity to cross the goal line. No touchdown, not even a field goal (and forget about a safety). Ultimately, at the end of their “untouchable” season, the scoreboard revealed their dominance. Ridgeview 446, opponents 0. Ridgeview High was the only African-American high school in the Hickory school system. The jewel of the community, the Panthers fielded sports teams every year strong in both skills and fundamentals. The football program proved to be especially talented. Under the coaching of Samuel Davis, a towering tradition began in the record books in 1957 when successive teams put together a string of 74 regular season wins that remains unbroken among NC high schools to this very day. In fact, the only thing that ended the streak was the closing of Ridgeview, a result of integration. In 1964, schools in the South remained segregated. Students at Ridgeview continued to get hand me down textbooks. One characterization prior to the Civil Rights Era described black schools were “separate but not equal” to their white counterparts. However, in some ways Ridgeview was greater than equal. With a first rate teaching staff, some with credentials from Harvard, Ridgeview High held the distinction of having the most accomplished faculty of any school in Catawba County. Students recalled their teachers as being tough but fair. Also, Ridgeview students knew that their instructors cared about them, and not for just what they could do on the field. The tradition of excellent that existed in the classroom spilled over onto the gridiron. The phenomenal season that propelled the team to go down in history began with a heartbreaking loss the year before at the state championship. Throughout the year 1963 Ridgeview, in their signature orange and blue jerseys, held opponents scoreless. But in the final game, instead of blanking the opponent, the Panthers were denied a score. Ridgeview lost 0-38. Announcer Ellis Johnson, who had started referring to the earlier team as “The Untouchables”, reportedly announced, “the Untouchables have been touched.” The team went home vowing to never come up empty again. The following summer they got up earlier, studied playbooks harder, practiced more diligently than ever before. Quarterback Allen Pope boiled it down to two things his team had, confidence and conditioning. He admitted “we didn’t have any great players, but we were a great team.” The long standing tradition of premier Ridgeview teams provided the confidence. They won state championships four times previously. Conditioning came with events like when Coach Davis drove his team out into rural Catawba County, dropped them off and told them to run back home. They did. And in each game it paid off. Pope remembered how fresh they remained in the fourth quarter against other depleted teams. To make the feat even more spectacular, Allen Pope, like a lot of other players for Ridgeview handled positions on both sides of the ball. He played both quarterback and safety. The team didn’t set out to hold opponents scoreless but halfway through the season someone realized the trend and they sought to keep the streak going. Offensive and defensive guard Xenephone Lutz remembered how the coaching staffed warned against getting obsessed with such a goal, they reminded players to stay focused on the win streak as they headed back to the state championship. No repeat of 1963 would do. But as the season continued the desire to keep the other side out of the end zone mounted. Each game proved to be a unique drama in its own right. Stories circulate that one team used a thunderstorm to try and avoid a drubbing by Ridgeview. The game was rescheduled and when they did play, the Panthers won 52-0. Ridgeview High held another opponent to just 22 yards rushing. Some of the intimidation may have sprung from the fact that as the orange and blue came onto the field they they clicked their heels in unison as they sung, “let’s go down and get this thing over with, we’re going to win this game.” At the conference championship Ridgeview played country rival Central (Newton) High. Both undefeated teams clashed for bragging rights as well as the win. Ridgeview 28, Central 0. The Panthers delighted spectators. Interracial crowds (significant in a segregated world) came to see team fireworks on both sides of the ball. Home games welcomed spectators on what players called “the dust bowl” because the field was more dirt than grass. The Panthers played before ‘standing room only’ crowds in a stadium that seated 2,000. The offense under the coaching of assistant Roger Scales pulled off plays that often went for big yardage. Doug Bumgarner scored over 30 touchdowns. Allen Burch added another dozen, as did Ed Cunningham. At least once per game on average, the defense forced a fumble that lead to a score. A few trick plays even found success as the Panthers once feigned confusion to their benefit in the end zone. As it did the year before, the season came down to the championship game. After sailing through the first round of the playoffs, the team met Hamlet for all the marbles. The championship was played at Hickory’s Lenoir-Rhyne College. The LR Bears themselves sported an exceptional football tradition in the area. Under coach Clarence Stasavich, Lenoir-Rhyne won their own national championship in 1960.